Travelling south from Auckland on State Highway 1, take exit 10 onto the South-Eastern Hwy, which becomes the Pakuranga Hwy, then turn right on to Tirakau Drive and finally turn left at Torrens Road. 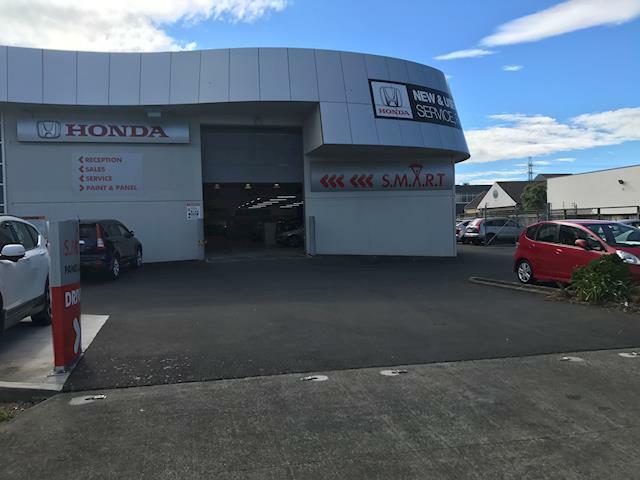 We are located within the Honda dealership on the right hand side. When dropping off you vehicle, please proceed to the S.M.A.R.T panel shop driveway entrance and progress straight through the open roller door into the assessment bays at the front of the workshop. From here you will be greeted by our Customer Care Team who will assist you with all of your requirements.